Where are the best places to visit in Sri Lanka with family? Sri Lanka is a beautiful country full of a lot of unique experiences for all ages of travellers to enjoy. Vacationing with the family is a great way to create memories that you can share for years to come. Be sure to take lots of photos so that you will have a reminder of your fantastic time in Sri Lanka! Going on a cycling adventure with the family is a great way to stay in shape and create memories that will last forever. You can join a bicycle touring company and head out from the west coast. You will cycle past many exciting cultural sites, and then navigate through the lush rain forest where you can view lots of animals and visit a monastery and interact with the monks. 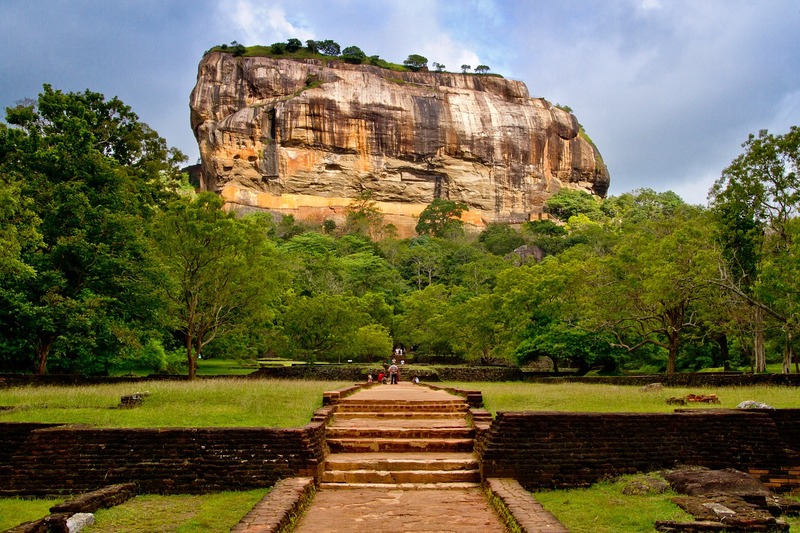 You can then take a jeep ride to Kandy where you can visit tea plantations and botanical gardens and then continue to the rock fortresses of Sigiriya and Polonnaruwa. There are several companies offering cycling excursions and holidays to Sri Lanka, some of them also offer you the ability to create your own itinerary. If everyone in your family is over 18 you can volunteer to work with elephants for a week at Pinnawala Elephant Orphanage. You will spend about four hours each day doing manual labour like helping clean up after the elephants, helping prepare their food, and helping the elephant handlers. You can also help the elephants bathe and help socialize these intelligent, gentle giants. Take a visit to Anuradhapura, a UNESCO world heritage site that was established in the 4th century, perfect for catching some winter sun. This is a truly unique cultural experience. Tens of thousands of Buddhist monks once called this home and there are many beautiful ruins for you to explore. The three main dagobas are marvels of engineering and ancient technology and their size is reminiscent of the pyramids of Giza. Be sure to visit The Ruwanweliseya’s carved elephants, Thuparama, The Jetavanarama monastery and stupa, and The Abhayagiri Monastery Complex. Some of the sites are still used by worshippers today. Travel to Uda Walawe National Park where you can go camping for a night and then go on a safari the next day. The tents come equipped with washrooms and showers and meals are served as part of the package. A safari in Sri Lanka is a fabulous experience, beyond your imagination, and you can see: elephants, sloth bears, sambar deer, wild buffalo, crocodiles, water monitor lizards, mongooses, jackals, and maybe even a leopard. Watch out for snakes as there are more than 30 varieties slithering around and some are venomous. There are also more than 200 kinds of birds for bird lovers to view and countless number of insects. Visit the small fishing village of Mirissa on the south coast. It is a great place to relax in beautiful natural surroundings. You can lie on a hammock and stare off at the ocean all day if you wish. There are also plenty of activities for a family to enjoy. You can go swimming, snorkeling, surfing, or diving in the pristine waters. You can also go whale watching where you may see Blue Whales, the largest mammals on the planet. You may also get to see: sei whales, fin whales, sperm whales, killer whales, whale sharks, turtles, dolphins, flying fish, and manta rays. There are several great places for accommodation and plenty of restaurants to choose from.